Cities XL 2012 is definitely one of the best games like SimCity available and offers plenty of eatures that SimCity fans will recognise and love. Cities XL 2012 (and the previous games in the series) are published by Focus Home Interactive. The game has an expansion pack available (Cities XL Platinum) which adds additional content and tweaks. 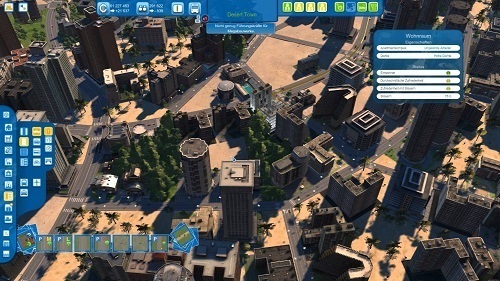 Cities XL 2012 focuses on a single player experience and is very similar to the SimCity games. Players take on the role of mayor and build the ultimate city while dealing with modern problems such as transportation, energy, health and safety. Cities XL lets you choose from over a thousand different buildings and has 60 huge maps to offer great gameplay variety. The biggest appeal of Cities XL is the attractive and realistic graphics. These graphics are supported perfectly by the ability to create curved roads and bridges to give your city a more realistic feel (rather than the grid like experience of other city builders). The core gameplay of Cities XL is a basic experience that city building fans will quickly pick up. However, Cities XL does have a number of hidden treasures that add a great amount of depth and complexity to the game world. These systems include trading, where players can import and export various resources to nearby cities and public transport systems where players can set their own stops and routes as they are needed. The game is often criticised for its poor optimisation which leads to some minor performance issues. Thankfully the modding community has plenty of fixes and suggestions to minimise their impact so that you can fully enjoy this great city building game like SimCity. 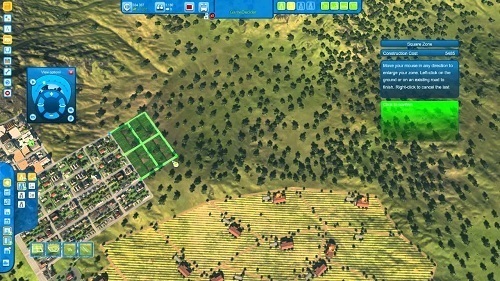 Many similar features to the SimCity series. Curved roads make for a more realistic city building experience.